Sabatier Professional L'expertise. Julienne Peeler. With blemish remover & blade guard. 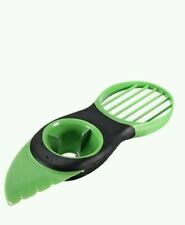 3 in 1 Avocado Slicer Peeler & Pit Remover. This 3 in 1 avocado tool is an effective and safe way of slicing, peeling and pitting avocados. This set includes 1 avocado tool. A non-slip handle desgined for safety and comfort. 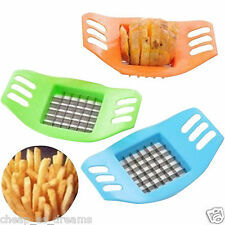 Ideal for stir-fries, salads, pasta and even cheese. Healthy or indulgent, the food recipes are abundant! Spiralina2Go has an integrated top container cover featuring a Fork spoon for using it to eat healthy food on the go. Brabantia Profile Line Vegetable / Fruit Peeler - Stainless Steel. Double-sided stainless steel blade with eye-picker. No more wasting food when peeling it! Durable - made of high-grade stainless steel. Serrated stainless steel blade and eyer. The traditional Lancashire potato peeler. Lancashire Peeler. Sabatier Professional L'expertise. With blemish remover & blade guard. 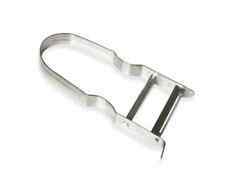 Kitchen Craft Traditional Lancashire Peeler KCLANCS. Peel a variety of different fruit and vegetables with this traditional vegetable peeler. With a durable stainless steel fixed blade, and string wrapped handle grip, this peeler is suitable for left or right handed use. Stainless steel sharp cutting blades. Weight: 1.5 lbs. Super sharp sabatier swivel blade. With its roots in 19th Century Thiers, France, the Sabatier Professional. expect from Sabatier Professional. Part of the Professional Sabatier range. Taylors Eye Witness Professional L'expertise Swivel Y Peeler. How to use 1--An easy-grip handle.Simply hold shrimp with rounded part facing up and tail pointing away from you. 2--Insert the closed tip of the shrimp master into the top of shell. 3--Gently push tip (still closed) under the shell until it comes out beyond the tail. 4--Press handles together until shrimp and shell separate. 5--Rinse each shrimp under cold water. It's that easy! Specifications ---Size: 9.5*20*1.3cm ---Weight: 21g Package Contents 1 x Prawn Peeler. 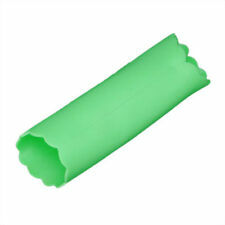 Norpro Grip EZ jalapeno pepper corer. Serrated edge and sharp inner teeth easily removes core and seeds from peppers. Stainless steel blade with a soft santoprene handle. Measures 8-inch/20cm long. Great for small to medium size peppers. Dishwasher safe. KITCHENCRAFT Stainless Steel Cheese Wire/Slicer. Suitable for Cheese Boards. KITCHENCRAFT Stainless Steel Cheese Wire. Excellent Quality As You Expect From KITCHENCRAFT. Easy & Simple to use, just hold the handles & stretch taught pulling down across the cheese to slice off any amount required. Made in Japan. Dishwasher safe single flat adjustable blade. Cutting range from extra thin to 8mm. Stainless steel blades. Safe to use. 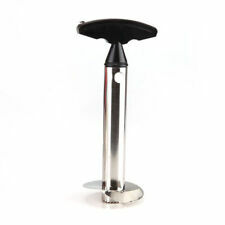 Kitchen Craft Brand New Push Through / Plunge Stainless Steel Apple Corer. 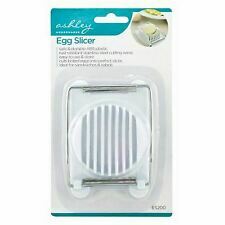 This egg slicer is perfect for producing neat slices of hard-boiled eggs for sandwiches and salads. Made from stainless steel with fine slicing wires. Easy to use and clean. Taylor Pea Sheller If you have been searching for a pea and bean sheller, search no longer. The Taylor Pea Sheller is the industry standard for shellers. You won't find any better on the market. Crafted of sturdy aluminum, the Little Sheller has advanced safety features including guards on the input and output side of the rollers as well as guards on the belt to prevent catching clothes and hair. Swivel Peeler. · Every household needs a good quality peeler. · NOT Dish Washer Safe. · For left hand or right hand use. We are here to help. 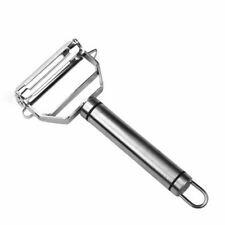 · It has a solid handle for a firm grip for easy use. Kitchencraft Vegetable Spaghetti, Spiral Strands, Slicer Spiralizer Cutter. Built-in potato eyer. The sharp, stainless steel blade glides through even the toughest fruit and vegetable skins with ease. The soft, comfortable handle cushions your hand as you peel, and is non-slip, even when your hands are wet. Kitchencraft Healthy Eating Lemon, Lime, Citrus Peel Zester & Peeler Canale Tool. 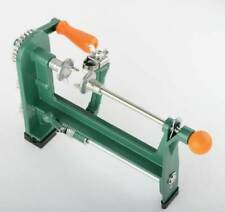 RSVP Endurance® Vegetable Peeler. This Swedish made vegetable peeler is constructed entirely of 18/10 stainless steel with a precision honed blade for lasting sharpness. Measures 6 ¾ inches overall in length. Dishwasher safe. It can even handle mature butter beans. TheTaylor Pea Sheller can hull 3-4 bushels per hour. I have found this claim to be quite realistic. Anyone who is serious about shelling can probably hull even more with theLittle Pea Sheller! Chef Aid Pizza Cutter. White Stainless steel.Thumb rest for safety . Step 2: set up the cover and the bowl, and slicer it. Everyone loves a fresh, healthy salad. You will get one 60 second maker(BPA-free) and easily rinse,chop and serve almost any salad in seconds!The unique slits take all. Make you favorite vegetables into delicious curls with the Chef Harvey Stainless Steel Spiral Slicer. 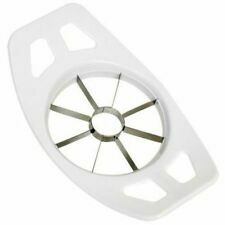 In stainless steel, simply insert the screw of the spiral slicer into the center of the vegetable, place your fingers into the home and turn clockwise. Practical Tool for bread Slicing. Note:Each stall width of about 0.4" (excised bread slice about 0.4" thick). Slice all breads safely and easily. Color: White. Perfect chop vegetable slicer. Ideal for slicing and dicing fruit and vegetables. Hand Chopper Manual Food-Processor Pull String To Slice Vegetables,Onions etc. Makes light work of chopping onions, garlic and nuts. CLEAN EATING MANUAL PULL CORD MINI. Simply pull the handle to quickly blitz your ingredients. With a non slip base and removable blades for easy cleaning. Features ---Slice an entire banana with one quick motion ---Save time in preparing breakfast, fruit salad and deserts. Specifications ---Material: Food Grade PP ---Size: Approx 25 x 7 x 1.4 cm ---Color: Yellow Package Contents 1 x Banana slicer. The Fox Run Classsic stainless steel vegetable peeler shows off that simple, old-fashioned design that we all know and love. It's easy to clean after use and will take up minimal storage space, unlike many new peeler designs. Electric Mr. Pea sheller. NEW Electric Mr. Pea Sheller. This is the new version of the Electric Mr. Pea Sheller. I have sold more than 1,000 of the wooden versions over the last few years. Electric Mr. Pea Sheller. 1 x Multi-use Shredder. Due to the different monitor and light effect,the actual color maybe a slight different from the picture color. Material: ABS.